Whether it was always planned or if the backlash against Finn Jones being cast as Danny Rand in the upcoming Netflix Iron Fist series against public cries to diversify the character with an Asian-American actor went ignored, That Hashtag Show/MCU Exchange has heard that Shang-Chi will be joining the series. They also report that casting will involve auditioning "males of Asian descent" exclusively. It was never certain if Marvel seriously considered casting an Asian-American actor for Danny Rand (in the comics Rand is white) but Shang-Chi has always been portrayed as Chinese and son of the villain Fu Manchu. If the rumor is true it would add some much-needed diversity to the Marvel Cinematic Universe but still fall short of showcasing a person of color as a lead in a series. Shang-Chi is relegated to a supporting role. The report states if Shang-Chi is received well it could lead to a solo series. How that's determined or really a possibility is questionable at this point. The Punisher was also rumored to be getting his own series but those reports were squashed by producers. It could still happen but presumably would have to wait until after Daredevil season two (beginning March 18), Luke Cage, Iron Fist, and the Defenders series. A second season of Jessica Jones could still be reality as well. After a failed attempt to acquire the adaptation rights for the television series characters of Kung-Fu (a show which featured a white actor portraying a Shaolin monk), Marvel acquired the comic book rights to pulp villain Dr. Fu Manchu. Steve Englehart and Jim Starlin built a story around Manchu in 1973 with Shang-Chi as his unknown son who becomes the "master of kung-fu." He became very popular during the kung-fu craze of the 70s. 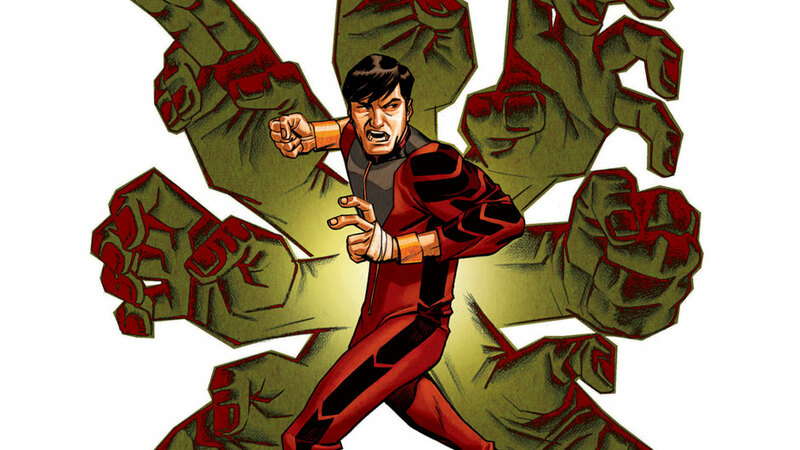 Since then Shang-Chi has teamed up with many of the Marvel heroes including Iron Fist. He worked with British intelligence, Heroes for Hire, and became an Avenger. Speculation has the 'Shadowland' story arc of the comics to be the basis for the Netflix series. Shadowland saw Daredevil suddenly using extreme measures to fight crime putting him in conflict with the other heroes of Hell's Kitchen. The inclusion of Shang-Chi and the casting of an Asian actor is a step in the right direction for Marvel but on its surface looks like a consolation. Marvel refused to reinvent and deconstruct the Asian-as-martial-artist trope by casting an Asian actor for Iron Fist so they instead embraced the "white savior" trope by casting a white actor to be trained by Asians. Now there'll be an actual person of color on screen but only as his support with plenty of villainous (presumably Asian) ninjas of The Hand as well. Hopefully, Shang-Chi will get a solo series but I'm not counting on it. Marvel has very little interest in producing projects where people of color are the leads in live-action. After more than a dozen feature films, Marvel Studios will release its first film directed by an African-American director, the talented 'Creed' helmer Ryan Coogler, and starring Chadwick Boseman as the titular hero 'Black Panther' in 2018. This will mark the first person of color to lead a Marvel movie in the modern Marvel Studios era (1998's 'Blade' starred Wesley Snipes but the film was produced by New Line Cinema). Luke Cage is the television/streaming exception where Mike Colter portrays the 'street-level' hero. Marvel's small screen offerings are a mixed bag of great gritty adaptations (Netflix), nostalgic spy adventures (Agent Carter), or loosely strung together ties to the MCU in a middling spy series (Agents of SHIELD). People of color are part of ensembles and the MCU's only current heroes of Asian descent are on the same show. So some people misunderstand the outcry, the desire for change, the need to be included. As a person of color, we're looking for opportunities. Marvel chose to tell the stories of Ant-Man (Michael Pena played perhaps the MCU's only Latino film character) and Doctor Strange (a lead role that could have gone to an Asian actor) before those of Black Panther and Captain Marvel (Marvel's only planned solo female movie). Danny Rand could have been Asian-American. Search the internet under #AAIronFist and you'll get not only images of viable Asian actors but pitches as how that could work. Comic book characters are altered, retconned, rebooted, reimagined, even resurrected from the dead. Nothing is ever set in stone. Alas, the campaign proved fruitless but if the rumor holds true Marvel gets to have their cake and eat it too.They hold on to the white savior trope who reaps all the benefits from Asian culture and keeps the name on the marquee. The Asian martial-arts stereotype lives on with a possibility for redemption but none of the rewards of leading the narrative. The Asian character once again at the service of the Caucasian star. It'll be exciting to see who they cast as Shang-Chi. I wonder if it'll be anyone that was suggested to play Rand. The "master of kung-fu" will be a nice addition to the Marvel live-action universe. Meanwhile, the struggle for equal representation will continue.